For those of you new to my blog, welcome! My name is Kelly and I am half of the pattern design team at Hearts and Bees and I'm an avid Instagram user named "kelbysews"! Ever heard of the One Hour Basket? That's me! :) When Art Gallery contacted me about making something with one of their new lines for 30 Days of Sewing with AGF, I immediately jumped at the chance to play with Imprint by Katarina Roccella! I love love love these colors! They are feminine without being overly girly! I was also impressed with how well these fabrics work in quilting, home-dec, and apparel sewing! Super versatile! Plus, if you have never worked with Art Gallery fabrics before, you simply MUST try them! They are amazingly soft and have a fantastic hand! I wanted to find a pattern that would showcase the fabrics and play into their modern, fresh feel. 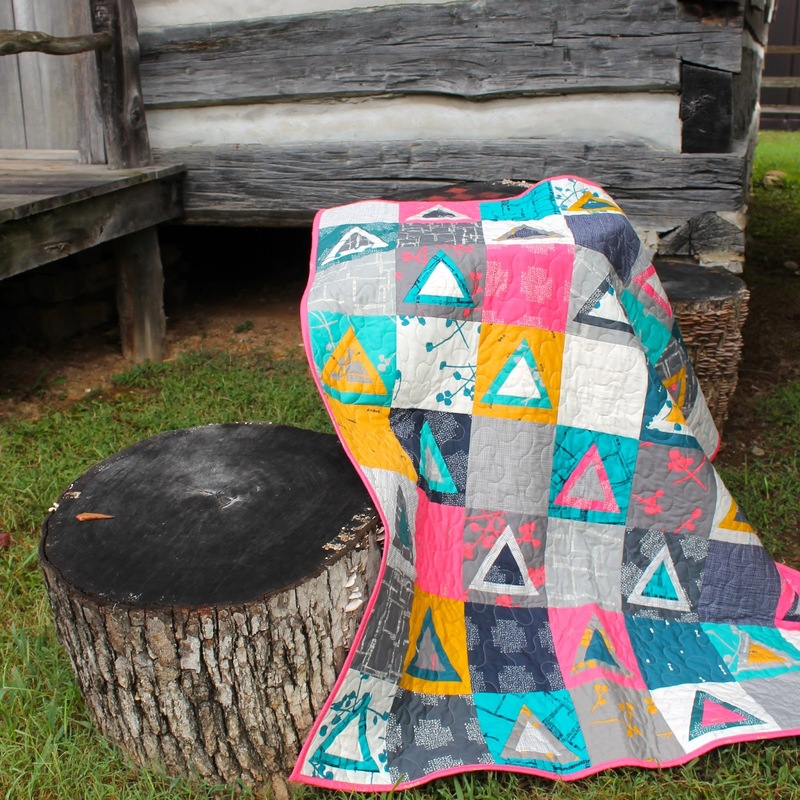 I thought this Sugar Loaf block by Wooden Spoon Quilts was a happy match! The block is FREE on Craftsy! I chose to alternate the triangle Sugar Loaf blocks with simple squares so you see hints of the designs in the triangles, but get full design in the squares. The only change I made to the Sugar Loaf pattern was to enlarge it to 6.5" unfinished (6" finished). I simply did this during the printing process by increasing the scale. I adore how it turned out! The finished quilt is 42"x48" perfect as a small lap quilt or for your favorite toddler's bed! Thanks for stopping by!!! 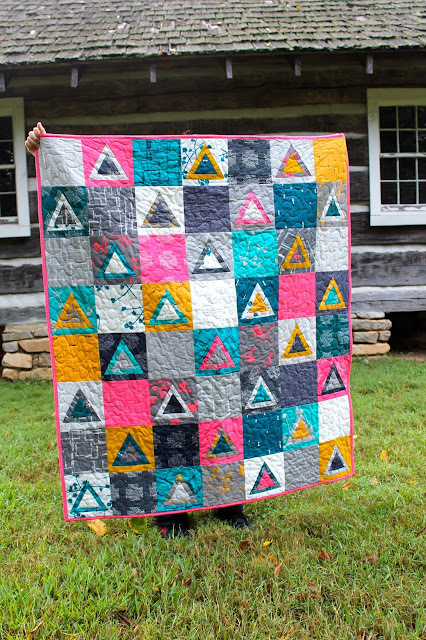 This is an awesome quilt! I'm not a girly girl but that doesn't mean I don't like girl colors. Perfect combination of fabric and pattern. Thanks so much for sharing. I'm so thrilled that you used my pattern! This is stunning, the colours are jumping off my screen! What a beautiful quilt. Love that block pattern of Rachel's too. very nice print.. thanks for sharing.